Proper installation is the Key to making your baby's world safer. 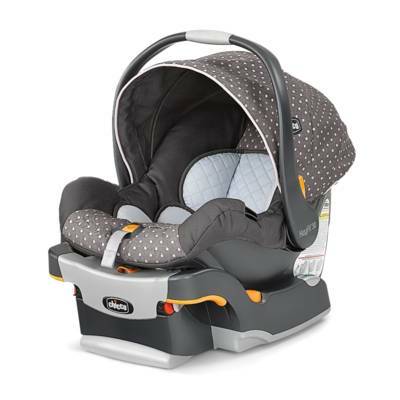 The Chicco Key Fit 30 Infant Car Seat is the premier infant carrier for safety, comfort, and convenience. With its removable newborn insert, the Key Fit 30 Car Seat will accommodate your baby from four to thirty pound. The Key Fit 30's thickly cushioned seat includes a five-point safety harness and is lined with energy-absorbing foam for increased safety and comfort. The Key Fit 30 Base's Recline Sure spring-loaded leveling foot, Ride Right 2 Easy-to-see bubble level indicators, and Super Cinch One-Pull LATCH tightener guarantee quick and correct installment from either side of your vehicle and give you confidence that your child is safely secured in your vehicle.